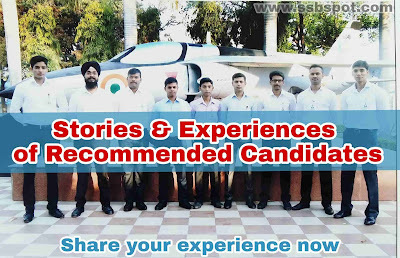 Many of candidates are freshers in Indian Army, Indian Air Force and Indian Navy SSB interview, they are not aware of 5 day SSB procedure, this leads to problems during SSB interview. 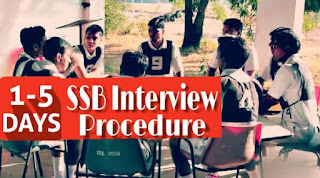 They never know the do and don’t of SSB interview process. 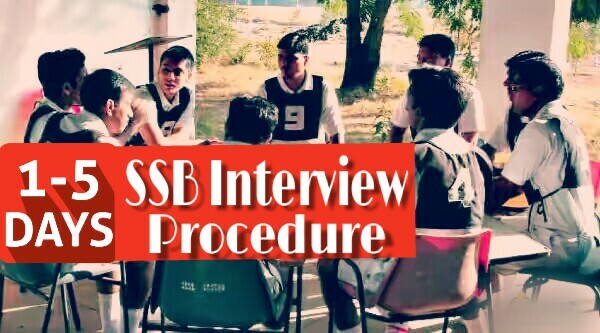 Lets talk about SSB interview procedure and the various sources which will help you to be prepared before you go for your first attempt. After the completion of PPDT, your screening results will be declared and selected candidates are allotted with new chest numbers. Rest of the candidates gets their Traveling Allowance and dropped backed to the railway station or bus stand. How to perform in SSb Interview ?